Overall Equipment Effectiveness (OEE) is a performance measure commonly used to monitor successful improvements to a process/area/machine. OEE is designed to indicate how effectively a manufacturing operation is utilised. 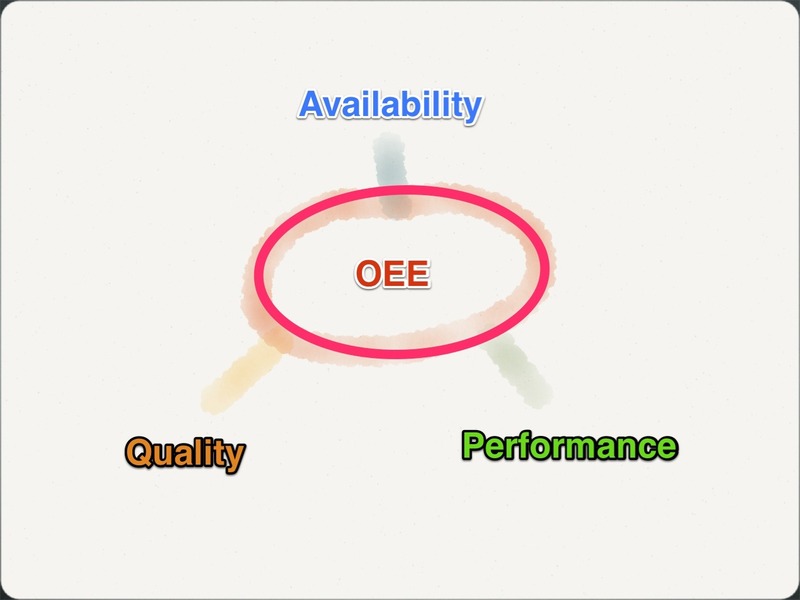 OEE can at times be a complicated metric to understand as it is derived from three individual calculated components. 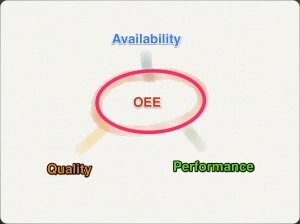 The components of OEE are : Availability, Performance, and Quality. To calculate an OEE for a single machine first you need to know your Availability, Performance and Quality. • A = Represents the percentage of scheduled time that the operation is available to operate. Often referred to as Uptime. • P= The speed at which the machine runs as a percentage of its designed speed. • Q= : The Good Units produced as a percentage of the Total Units Started. How to calculated the components Availability, Performance, and Quality. Availability is a measurement of Uptime. 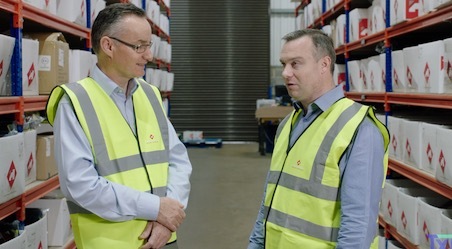 Quality – measures the Good Units produced as a percentage of the Total Units Started. The Availability is the measurement of the time the machine was able to performance its function. The CNC Lathe is scheduled to run for an 8 hour shift. The normal shift includes total of 45 minute meal breaks. During the shift the Machine experiences 60 minutes of unscheduled downtime. The Performance Metric is a measurement of speed that machine needs to run in order to performance its function. The Machine produced 242 Total Units during the shift. The Quality metric measures the Good Units produced as a percentage of the Total Units produced. 242 Units were manufactured in order to produce the 230 Good Units. These percentages can now be entered into the standard formula for OEE. 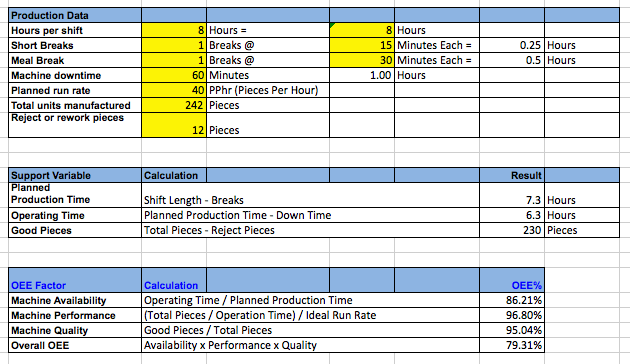 This calculation can be performed easily with spreadsheet template for daily measure to be added to a team’s production board.